My first answer is, and probably always will be, The Westing Game, which I’m sure comes as a surprise to not one single reader of this blog, ever. I know I’ve read it more than twenty times, almost once a year since I was 8 years old. (Just realized I missed reading it this past Halloween. In my defense, I was a little bit busy starting a new library job. Maybe I’ll curl up with it this weekend, while the leaves are still falling. It’s a good, autumn book. And as many times as I’ve read it, there are still surprises: details I had forgotten since the last reading, or ways the plot connects and foreshadows clues I didn’t remember catching before. (Some parts of the narrative are really dated, even cringe-worthy. But for a book that’s just about as old as I am, I think it stands up well. Lately, I’ve been thinking about re-reading The All-of-A-Kind Family books by Sydney Taylor. I remember checking them out of the library when my family first moved to New York City, and enjoying the stories because they let me get to know my new city and its history. Like the Little House on the Prairie books, which I read around the same time, in elementary school, they had the wonder and strangeness of the past, but being able to see some of the actual street names and brick buildings Taylor wrote about made the story easier to grasp. Been thinking of re-reading the All of a Kind family books recently, as I’ve been listening to the Bowery Boys podcast, in which two guys riff on New York city’s history. I keep telling myself I’ll sit down and dig into books about New York history and become a self-taught expert… but I think that’s more on the order of pipe dream or bucket list than anything that I’m likely to read in the near future. And of course, there’s Harriet the Spy by Louise Fitzhugh. I remember that I read it on a family trip to Washington, D.C. I must have been about 9 or 10. I already went everywhere toting a notebook to scrawl things in (because I was born to be that kid.) 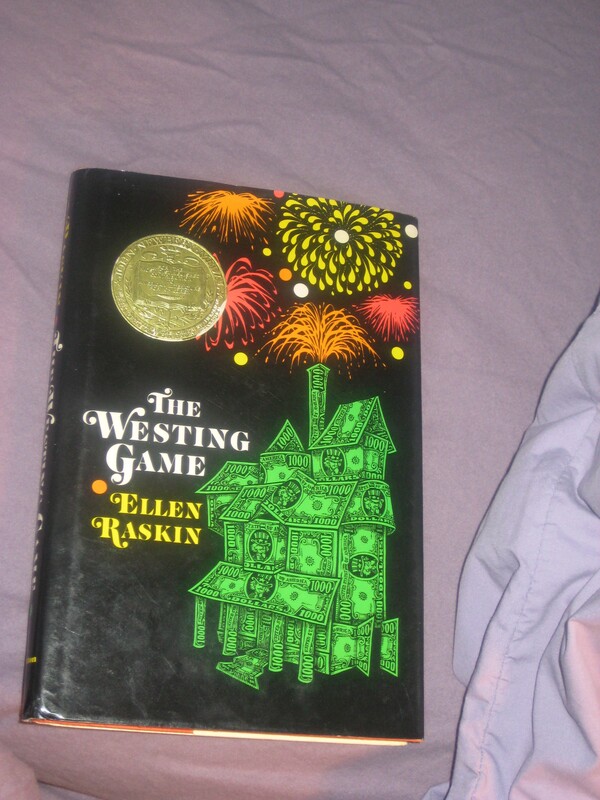 But that book let me play Harriet the Spy and be completely delighted with the game. Lurking in corners and hiding behind potted plants with a notebook was especially fun in the hotel lobby. And I’m pretty sure that I kept it up for a few weeks once we came home. I don’t know that I dwell on any particular book, but I preferred Encyclopedia Brown over Nancy Drew.